A refreshing read. The only books I’m reading at the moment are Blackest Night, Green Lantern, Green Lantern Corps and Batman & Robin. Civil War and it’s aftershocks more or less killed any love I had for Marvel, so I’m happy to hear they are still producing some decent work. I fell in love with Cap the first time I saw him; Episode 12 of Spider Man and his Amazing Friends (“Pawns of the Kingpin”). I was a child at the time, so his politics meant nothing to me. I just thought he was so cool. This man dressed in red, white and blue; with a shield, and a bunch of acrobatic moves. I think the first time I read a comic with Cap was an issue where he fought Batroc the Leaper. I remember nothing about the issue, but later on I would read Secret Wars, and I believe it was here that he would be cemented as a favorite in the Boothe Hall of Heroes. No powers (serum doesn’t count here), but still earning the trust and respect of Earth’s mightiest heroes and villains. Of course my (and many others) favorite Cap moment was when he stood face to face with Thanos in the Infinity Gauntlet mini series. A definite classic Marvel moment. I took a lot of flack from my X-friends for liking the Avengers family of comics. Overshadowed by the Claremont/Byrne/Silvestri/Jim Lee eras of X-Books, they were seen as lame by many of my friends. 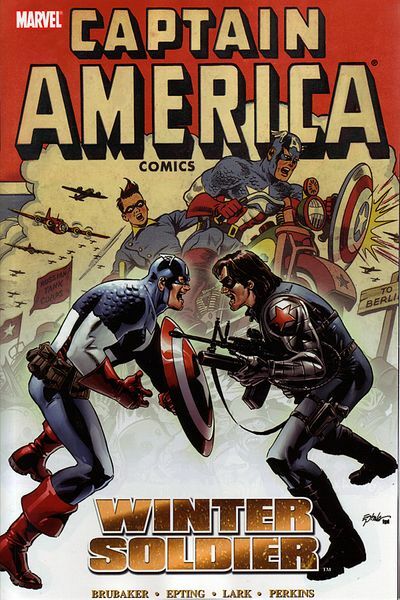 I stood by them though, mostly due to my love of Captain America, but also because a lot of their stories felt a lot more old school, and a little less convoluted. Definitely not hating on the X, though. A lot of great stories came out of that end of the Marvel Universe. Also…I was extremely impressed by Steve Epting’s work in the latest Captain America series. Wow! Well written. You are a genius! Couldn’t open your resume or writing samples, though. Are PWAC meetings at night? If so, could you be available to attend them?